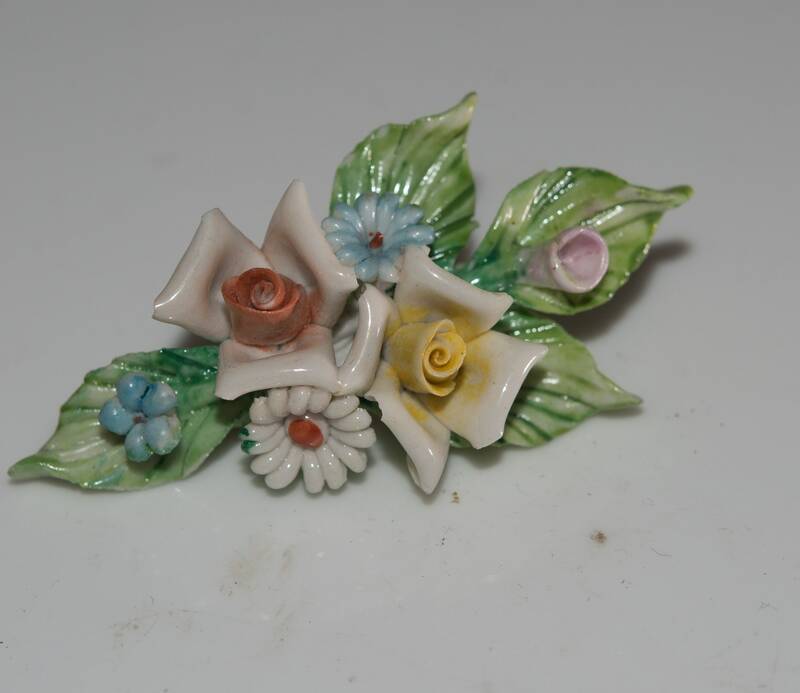 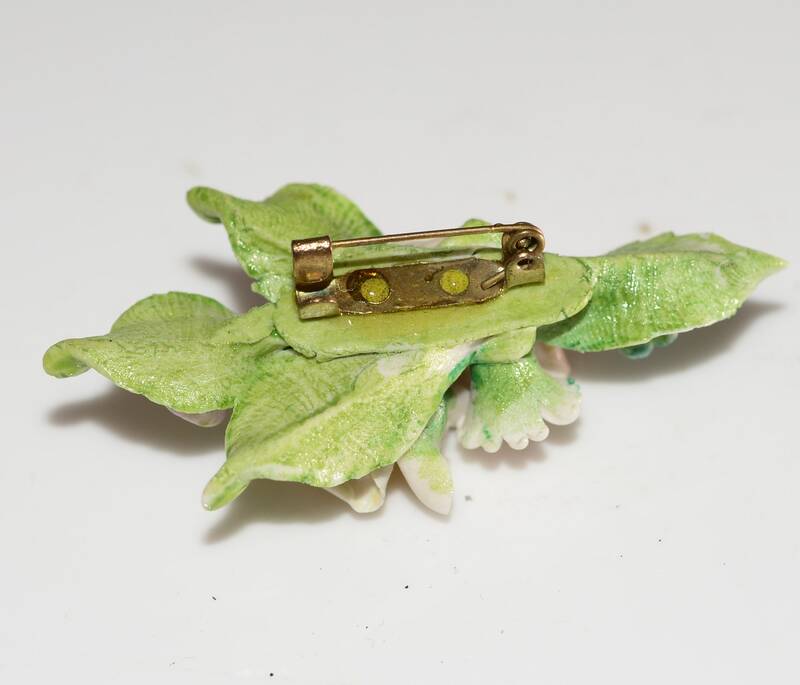 This is a handmade pottery or ceramic floral spray brooch, with delicate little flowers all handcrafted and assembled. 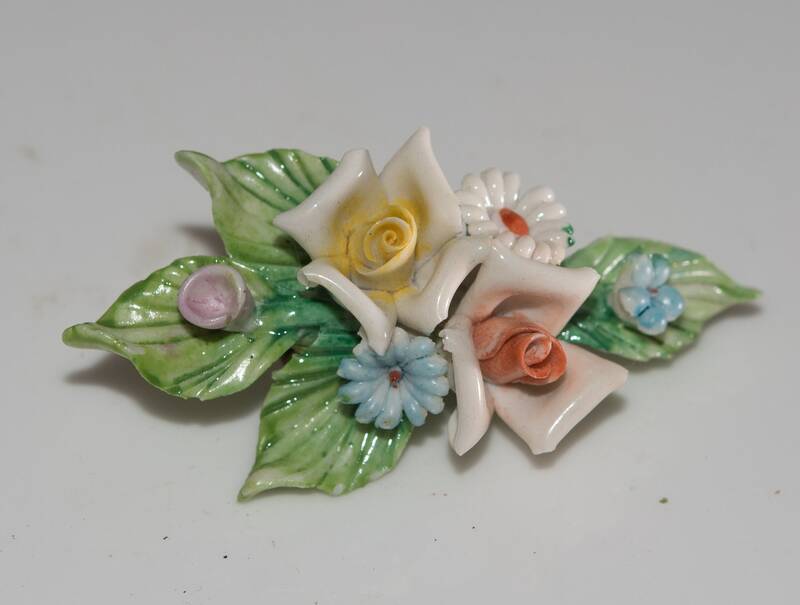 It looks like capodimonte but there are no marks on it. 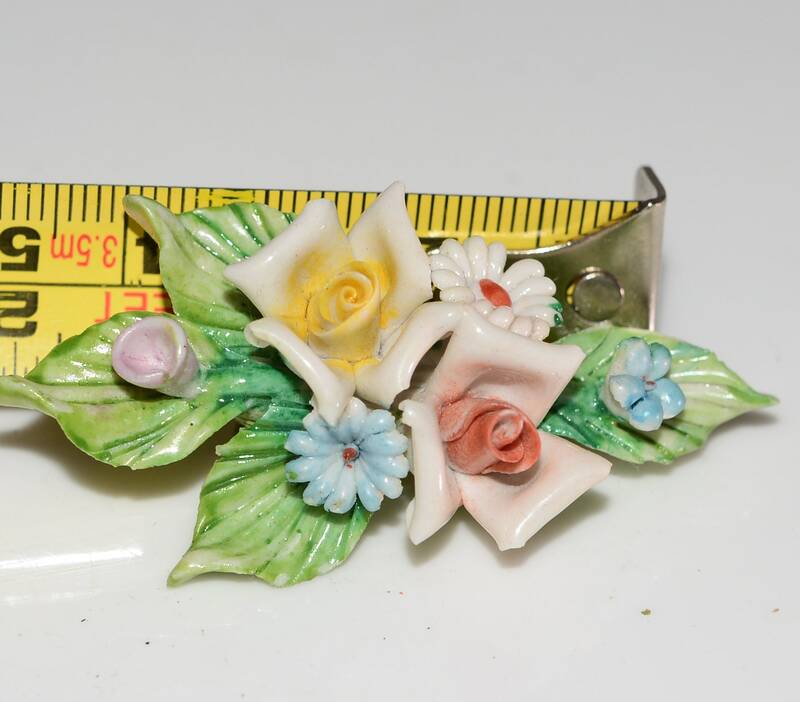 The piece measures 3 inches long, and I am not sure if the pin back is original or not, it is a c style clasp making this an older piece. 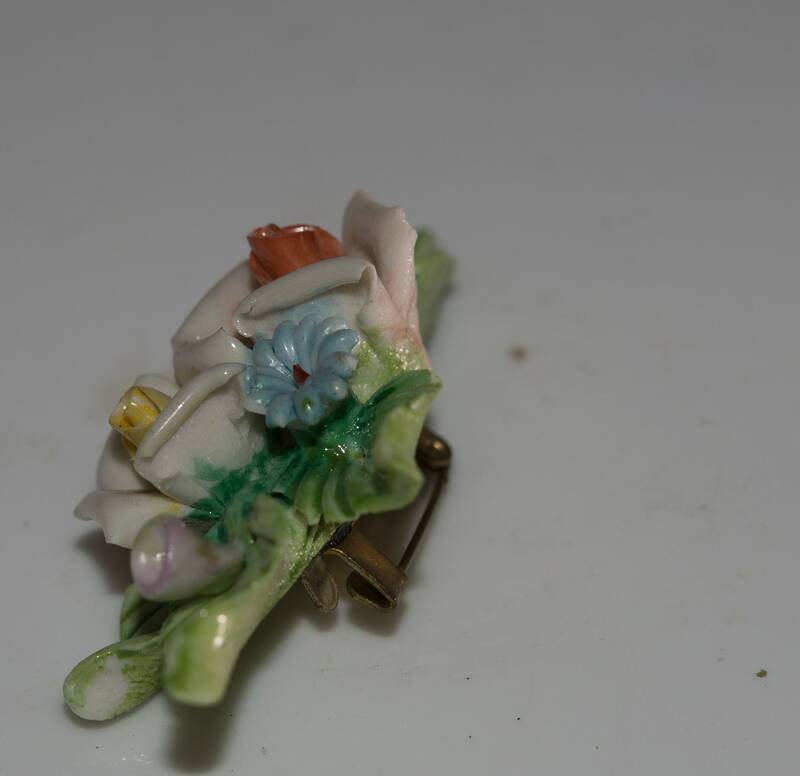 Needs some cleaning but there is no damage that I see.